I need to buy this’ list. I wanted to create one in a while so here we go, my 2016 wish list! I am planning on moving house then. I want to rent a new apartment somewhere in northern quarter so I will in a serious house hunt then! My dream place would a with original NQ features like brink walls, some steele pillars etc. It will be hard to move with my two cats, as for some reason landlords/management companies seen them as the bad thing? I mean, if you look after your animals everything is fine! I don’t have problem with furniture, neither with carpet. Once I’ll find it I will be there to decorate! Yay! My biggest nightmare in my current apartment is my black leather 2 seat sofa! Not, just is too small (because I have like 50 cushions there 😉 but because is leather! I hate leather sofa, end of! I don’t like when you seat on it and is the specific cold feeling! I know, I know easy to maintain and clean. I have one sofa in my head and this is a corner grey one with soft fabric. I want one for years now. I have seen so many already and now I had found the ‘One’. 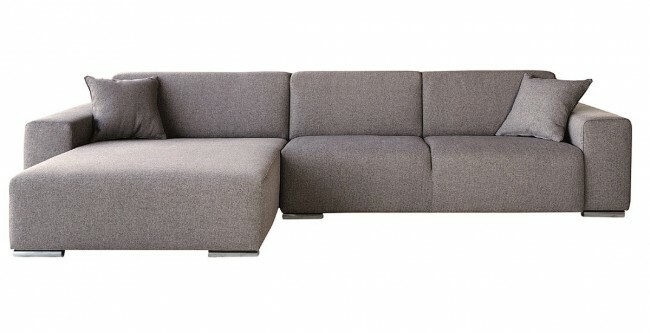 I love the lux large corner sofa! What is special about this one? Well, it’s made in my home country in Europe by company call Funique! (but the company is based in London!) I know how hard our boys work to make good quality furniture! I know the precision added to each detail and I know that they source best quality fabrics from known to them source. It’s affordable and it will last years. I mean this sofa cost £739.95 discounted from £1399! Half price boys & girls! It’s a must have on my list! Next to sofa there must be a new TV! My boyfriend is torturing me with a thought he is buying a new TV this Christmas! 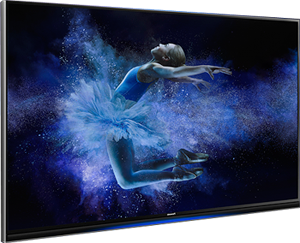 I really don’t want him as I am saving up for this beauty, Panasonic,Viera, 4k TV. This an Ultra HD with high definition and it’s the future of television! I need this is my life! My ‘Pretty Little Liars’ series won’t be the same J 4K Tv has the most crisp and sharp image and comparing to tradition HD is just miles better, like nearly 200o pixel difference! I want it badly! I think it’s a must have this Christmas! Currently my bean bag is guess what, leather. Yes, I know ironic as I bought it myself, can’t blame landlord. This one was a cheap a must have few years back and now to my new collection I need the knitted pouffe cube from Next! I know these were a huge trend 2 years ago but still !!! Rocking chair and copper accessories including lamps that are another must have! Obviously a copper table with a marble top it’s like a home without a roof! Oversized lamp was something I wanted badly for quite a while now! I have spotted this one on Wayfair website!? It’s stunning! I love that is simple, white and big! The wall clock is from Company called Bolia, when I added it Instagram loads of people asked about it! Its stunning is’t? Do you like it? 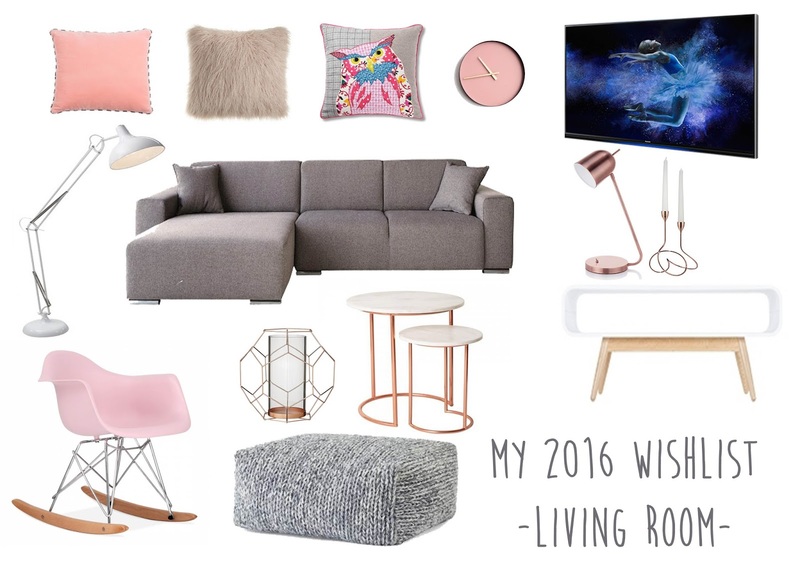 What is your living room wishlist for 2016? disclamer: this post contain a sponsored content. I want everything on your wishlist especially the faux fur cushion and the directional light fixtures. Can you come and design my house one day lol? In love love love with those pale pastel colours. I need a new design and I think you have found it! A comfortable sofa is so important to make a living room cosy. Great wish list. Pastels would look fab! This is such a beautiful selection! 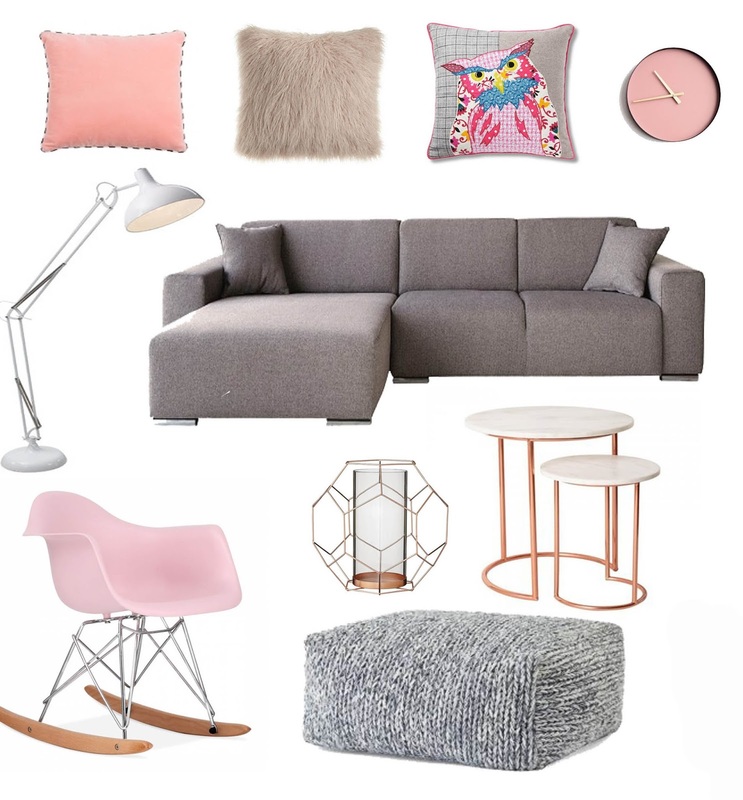 I love the grey and soft pink combo. 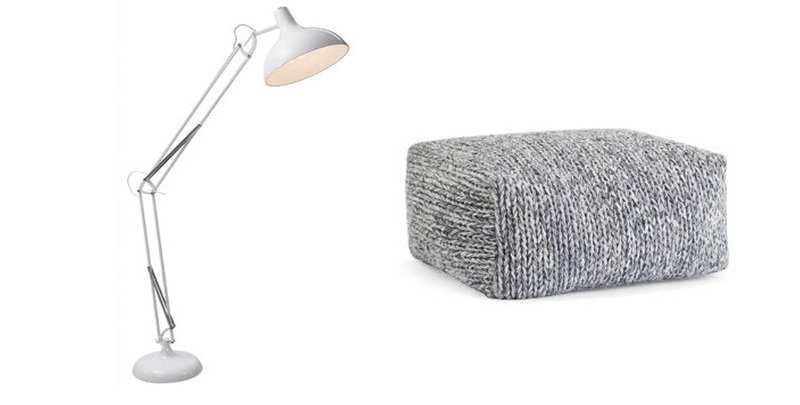 I particularly like the sofa, the lamp and the knitted pouffe. I would love a cosy stylish rug and a nice print to add a nice touch to my desk which sits in my living room! It was lovely meeting you yesterday at the #cosmoblogawards! I love this so much, the light grey and pink work so well together. It looks so comfortable and inviting! I wish this was my living room. You've put so much thought into each piece considering style and comfort. I love it!!! I rather like the knitted cube pouffe thingamy whatsit. 🙂 Multipurpose, it's a chair, a reading table or a beanbag. Lovely choices here. I would love to see how your living room looks like. It must be tastefully furnished. I love the pieces you've picked out, that sofa is a bargain! You have some beautiful items on the wish list. Sometimes I wish we had gone for a similar sofa, they are perfect for lounging on. I love that sofa – a great colour! We found it difficult to find somewhere that would let us have 2 cats, so we rented privately and it was a lot easier. I love the corner sofa, I'd love to have one but we'd have to change the whole room around to accommodate for it. You've got some great items here too.